1. The Bill for Rents upon reserved Leases. 2. The Bill for Lazarmen. 1. 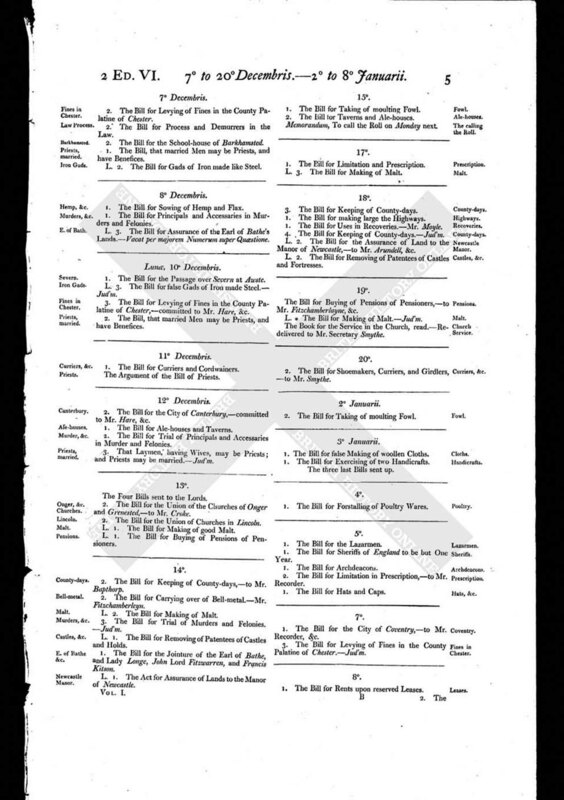 The Bill for Commissioners of Cathedral Churches, Hospitals, and Spitals. 3. 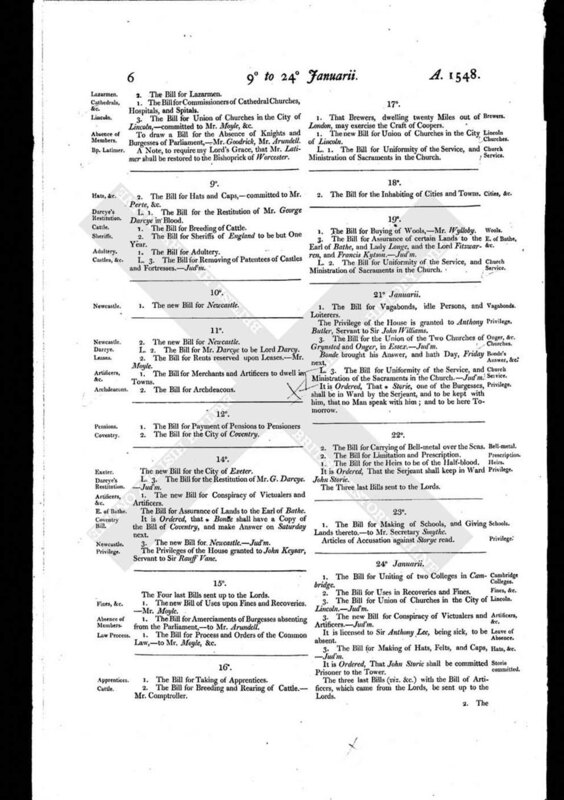 The Bill for Union of Churches in the City of Lincoln, - committed to Mr. Moyle, &c.
To draw a Bill for the Absence of Knights and Burgesses of Parliament, - Mr. Goodrick, Mr. Arundell. A Note, to require my Lord's Grace, that Mr. Latimer shall be restored to the Bishoprick of Worcester.